Snow is still on the ground, but it’s never too early to be thinking about gardening – or local, organic food. USC Canada is holding its “Seedy Saturday” on Saturday, March 5, 2011 from 10:00 am – 3:00 pm. The event takes place at the Ron Kolbus Lakeside Centre in Britannia Park. Admission is free; OC Transpo bus 16 will take you there. Check out local groups like Just Food and Canadian Organic Growers, as well as local businesses that cater to gardeners and farmers, and sample food from local vendors. USC Canada promotes food and livelihood security and healthy ecosystems. While USC’s focus is on small-scale farmers in the Global South, it recognises that food security and crop genetic diversity are global issues. According to USC, the world has lost almost 75% of crop varieties, and North America has lost 90% of its fruit and vegetable varieties over the past century, meaning a less stable food supply for Canadians as well. 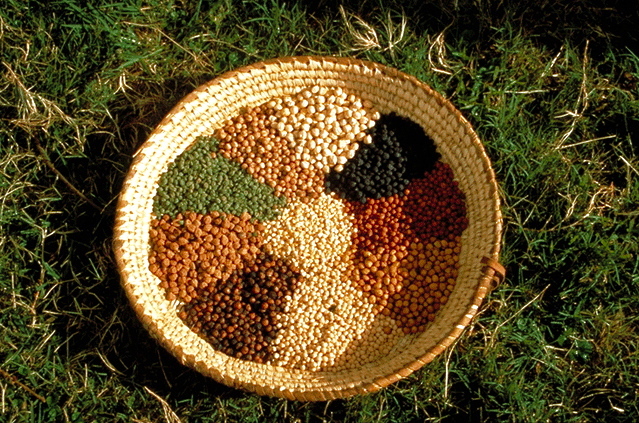 USC’s seed programs focus on enhancing biodiversity and food sovereignty. For more information about Seedy Saturday, call 613-234-6827 ext. 228. Hello, we attended Ottawa’s Seedy Saturday and just loved it. We are new vegetable gardeners (this will be our first year) and we brought our boys (2 and 4 years old). We were very impressed with the event, especially the kids corner with crafts. I wanted to check out the 10:30 am talk on small plot gardening, but couldn’t make it with the kids. I am wondering if you can connect me with the speaker, or someone similar, as I am looking for a presenter for our elementary school’s April evening on good food – talks by a nutritionist, the good food box program, and hopefully someone to talk about small plot vegetable gardens that families can do together. Can you help me out?